Soweto, South Africa. 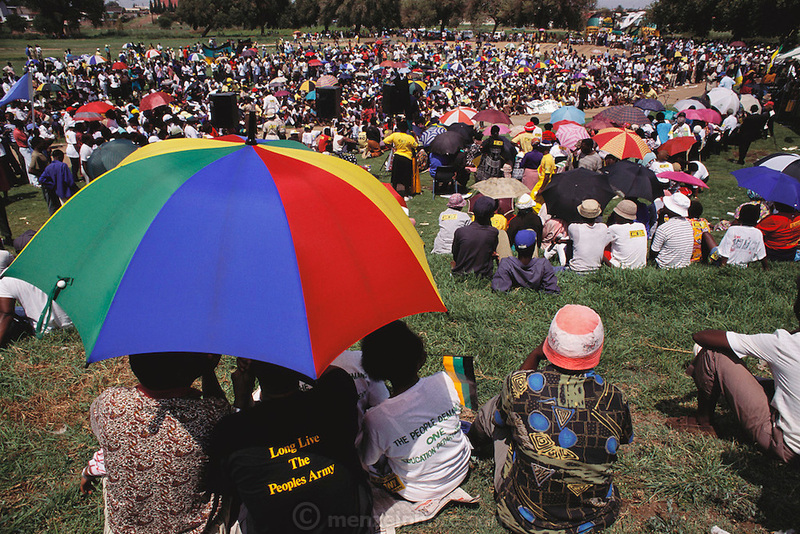 ANC (African National Congress) rally to commemorate the Sharpville massacre on its anniversary. On 21 March 1960 at least 180 black Africans were injured (there are claims that as many as 300 were injured) and 69 killed when South African police opened fire on approximately 300 demonstrators, who were protesting against the pass laws, at the township of Sharpeville, near Vereeniging in the Transvaal. The Sharpeville Massacre, as the event has become known, signaled the start of armed resistance in South Africa, and prompted worldwide condemnation of South Africa's Apartheid policies. Material World Project.